A trend that has become more and more prevalent in cycling is electronic shifters. 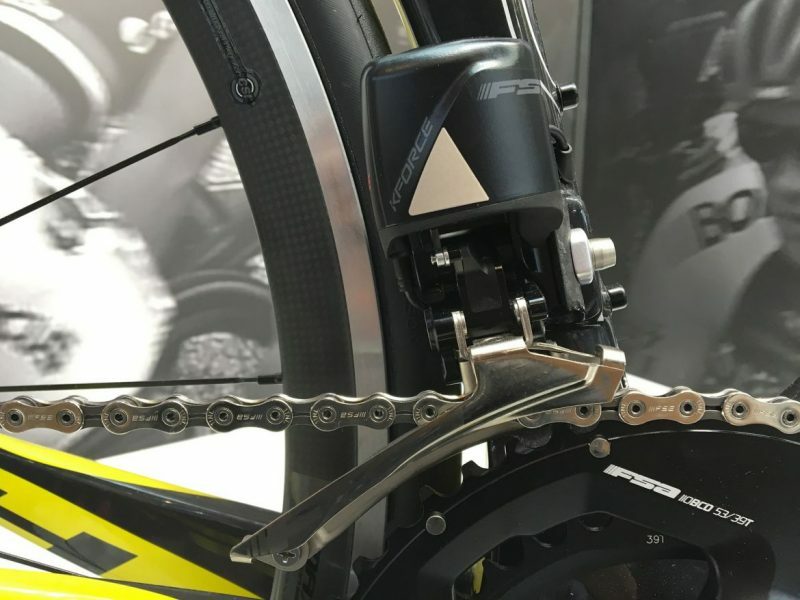 After five careful years in development, not only has FSA joined in on the electronic shifting market, but they have introduced their new WE (“wireless electronic”) groupset. The news of FSA’s new K-Force WE drivetrain was the big story at Eurobike last August/September, and we have let the issue stew a bit until we could get more information about this new WE groupset. 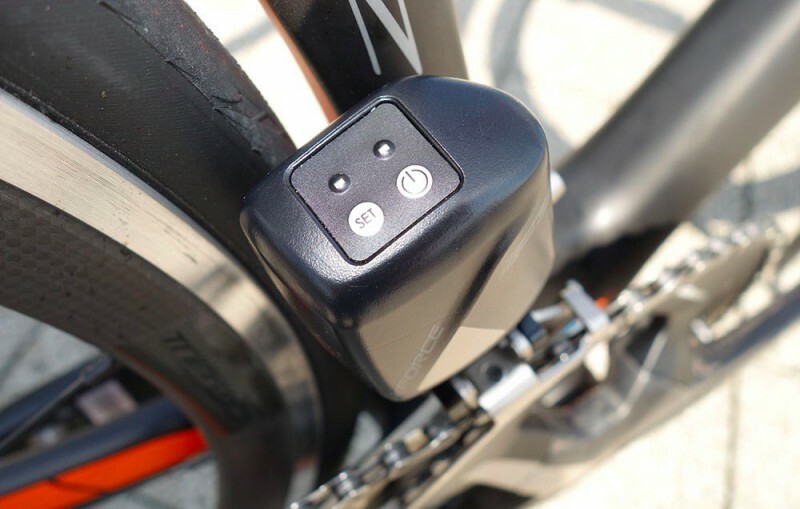 This wireless electronic system means that the FSA wireless shifters communicate with the front derailleur — the brain of the bike. While there are still wires, they run internally from the battery which is housed in the seat post — and flow to each derailleur. Using a lithium ion battery which is claimed by FSA to last an incredible 4,000 to 6,000 km (2,485 to 3,728 miles) between charges, this reusable battery will offer longevity and safety for thousands of miles. If their name isn’t already good enough for you, the FSA-sponsored professional World Tour teams — Direct Energie, Astana, and Cofidis — will be using the WE system on their bikes to test it out during the great race itself — the Tour de France — as well as other top level races. I don’t know about you, but this wireless electric drivetrain is something I want to try on my road bike stat. Take a look at the specifications and features below and see if you’re up to the task. 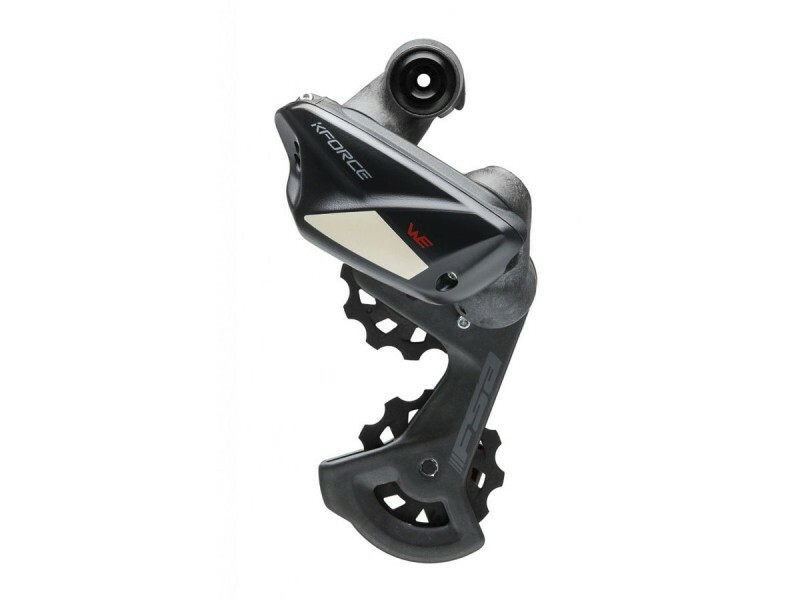 The FSA K-Force Wireless Electronic (WE) Groupset is an 11-Speed that is designed for double cranksets.The great thing about the K-Force WE is that it is highly customizable. It comes with an accompanying mobile app, and as a rider, you can customize the function of each shifter yourself. You can set how long it takes to shift, see what the battery life is on your K-Force WE, and a lot more. 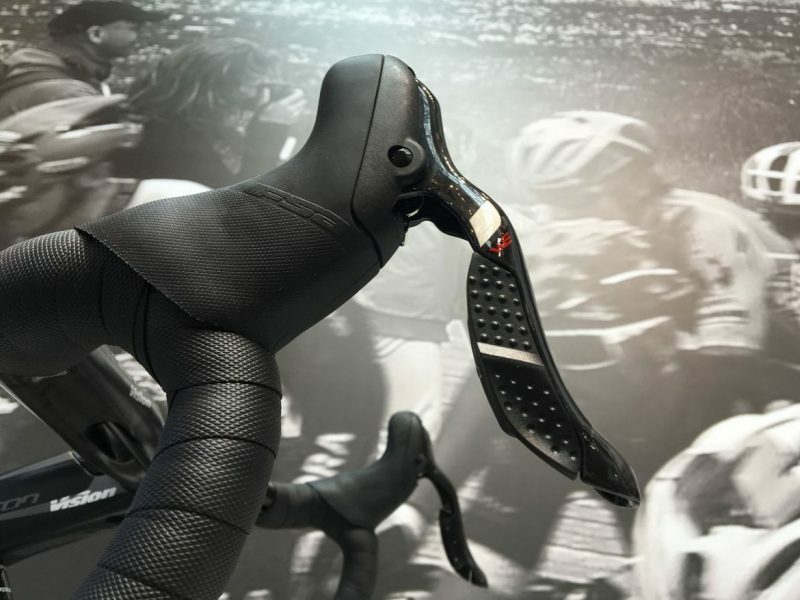 The shifting is controlled by two textured buttons on the brake lever — each of them are capable of being used for rear and front shifting and can actually be set by the rider so that the top or bottom button shifts up or down. The brake levers come in two different lengths — standard and a 6mm shorter compact version — which will help any type of rider get the best fit for them. The levers themselves are adjustable as well. You can adjust them to three different reach positions. 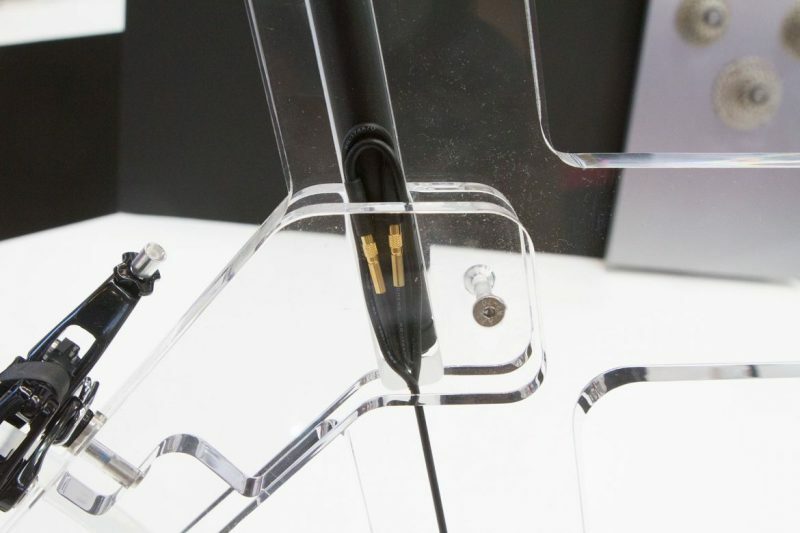 That’s an incredible set of features for a groupset — and being wireless (well, semi-wireless)? Even better. 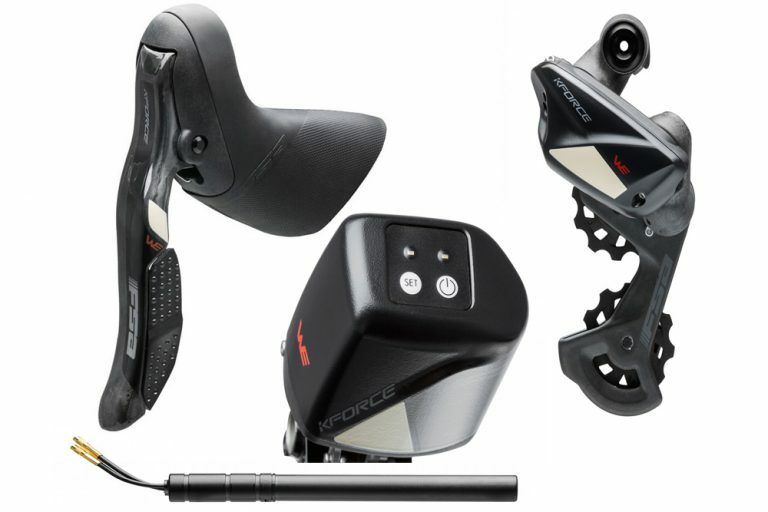 Now, as we hinted a few times already, while FSA calls this their K-Force wireless electronic groupset, this WE actually does have some wires — perhaps you should think of it as a hybrid wireless system — but the positive part is that it is wireless where it counts. A wire exists that connects the rear derailleur to the battery, and to the front derailleur. This doesn’t get in the way at all as you ride and makes for a combination that allows for easier lever installation as well as a longer battery life. Now we come to the front derailleur. 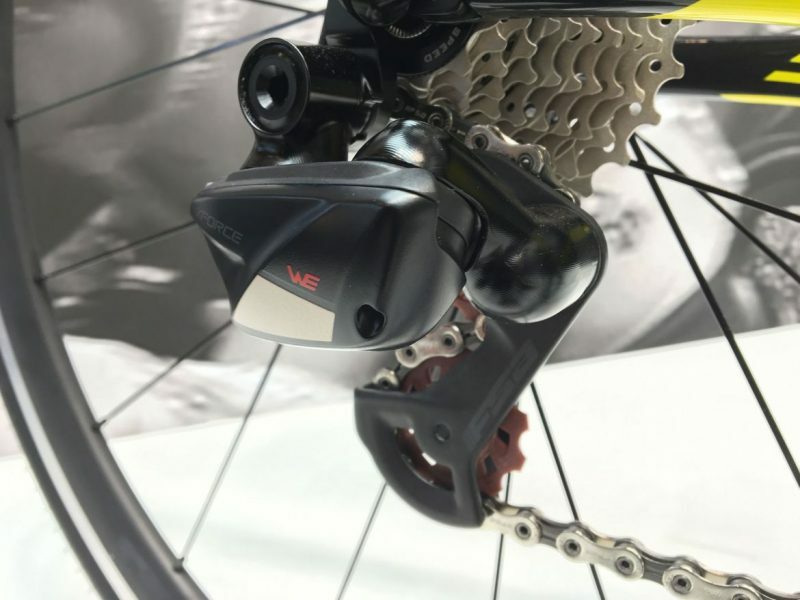 The wireless electric front derailleur houses the shifting mechanism as well as the brain of the system — where the signals are received from the wireless shifters and are passed on to the derailleurs via the interior-integrated wires. The front derailleur mech operates on a rack and pinion system. 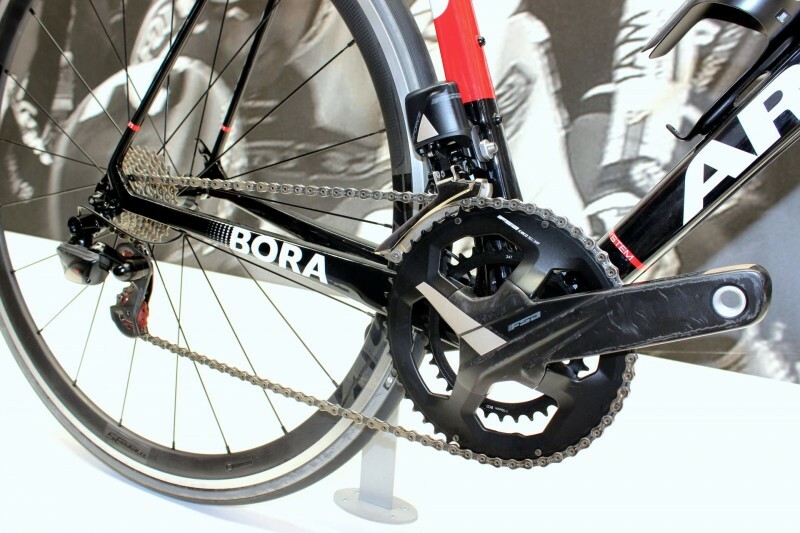 This is designed to auto-trim as the rear derailleur shifts, which keeps the chain in the best alignment possible. The front derailleur is where the riders can power the system down for storage, travel, etc… You can also view the system’s battery status at a quick glance via the LED lights that flash in one of four colors (based on how much battery power is left). 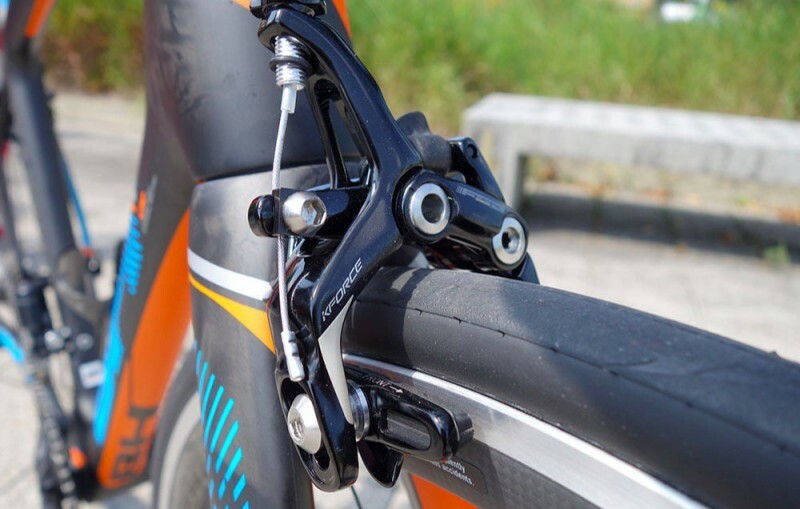 The rear derailleur is essentially a miniature gearbox that is designed to maintain alignment and hold an incredibly accurate position on the rear cassette. This is different than the traditional parallelogram design. The WE has a three-timing gear system moves the derailleur across the cassette laterally and makes sure that the system stays parallel. The unit uses a carbon fiber material in several places, which saves weight — it is not completely carbon, however — a lightweight, single-piece arm holds the composite pulley wheels and guides the chains. These three components are pretty simple since FSA has been making all of these parts before their wireless electronic groupset. The K-Force WE uses a dual-pivot brake that is based on the existing K-Force Light. In this new WE design, FSA did use some feedback from pro racers in order to make adjustments. FSA claims that this makes the brakes more powerful than the predecessor. The new WE model is also designed to fit the wider rims, which have become extremely popular in the last two years. The crankset of the WE is also based on current K-Force models — constructed of hollow carbon and reinforced in strategic areas to improve durability, the crankset is slightly thinner in the arms than the previous model. FSA says this reduces the Q-factor and improves ergonomics. There are six crankarm lengths available to buy: 165, 170, 172, 175, 177.5, and 180. The chainrings are CNC-machined and feature a new pin placement — this is claimed by FSA to improve outer chainring stiffness by 120 percent, so we will have to see if that holds up. As for the sizes of chainrings available, there are three: 50-34; 52-36; and 53-39. 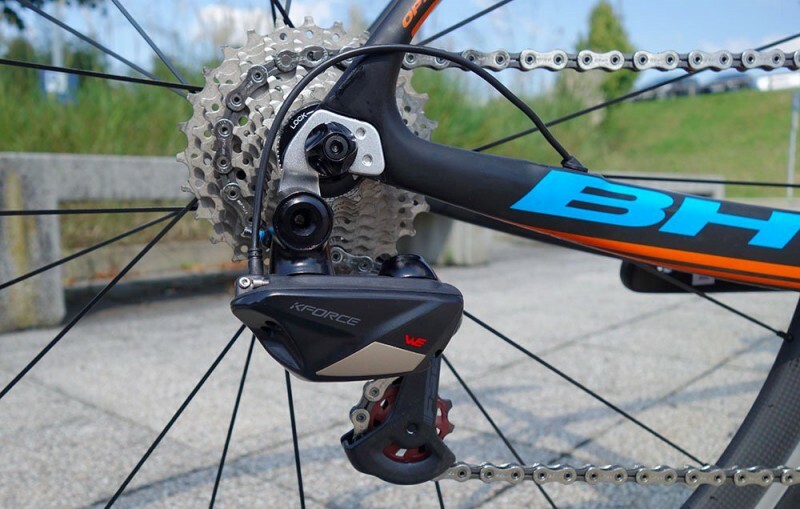 Power management is also advanced in this groupset. The system calculates battery power based on the personal shift profile of each rider. This includes how often the rider shifts and into what gears. Not only is this power management but it is smart technology as well — knowing how many times you shift is a great number to know about as a rider. The battery used in the FSA K-Force WE groupset is a lithium battery that sits inside of the seat tube. This position protects the battery very well from outdoor elements and makes sure that no additional weight is put in an awkward place for the rider. One wire runs through the seat tube to the front derailleur and then, through the chainstay, to the rear derailleur. Installing the battery is really easy — once you place the battery in the seat tube, you don’t need to remove it again — not even to charge. A full charge takes only an hour and a half, and you simply detach the electronic cable from the rear derailleur and plug it in to charge. As stated before, the battery will last for anywhere from 4,000km to 6,000km of riding, which is extremely generous. When it comes to shifting, your K-Force WE Groupset powers it via standard CR2032 watch batteries that are located in each lever. FSA states that these batteries should last you around two years under normal shifting conditions. However, these batteries are very inexpensive, so just buy an extra pair and you will have the least expensive battery replacement you’ll ever have on a bike. When Can You Buy the FSA K-Force WE Groupset? This system by FSA will become available beginning in May of 2017. The pricing will become public within the next couple of months, but FSA already says that the pricing will be similar to that of Shimano Di2 and SRAM eTAP. 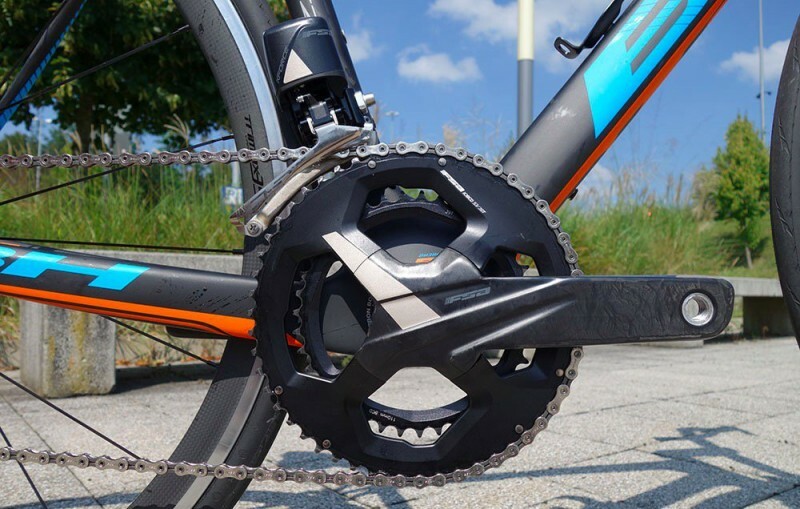 Like most electronic systems, the WE may be too expensive for most riders to invest in, so one of the big questions is whether the WE drivetrain will be available in models other than the expensive, top-of-the-line one in this review? Thankfully, it looks like the answer is yes. FSA has plans to develop trickle-down options in the very near future since their customer base may largely find the FSA K-Force WE 11-Speed Groupset featured in this review a bit too rich for their blood.